Save your back and your knees with this comfortable and fast method of basting your quilts. Learn how to pin baste, thread baste and even spray baste your large quilts. 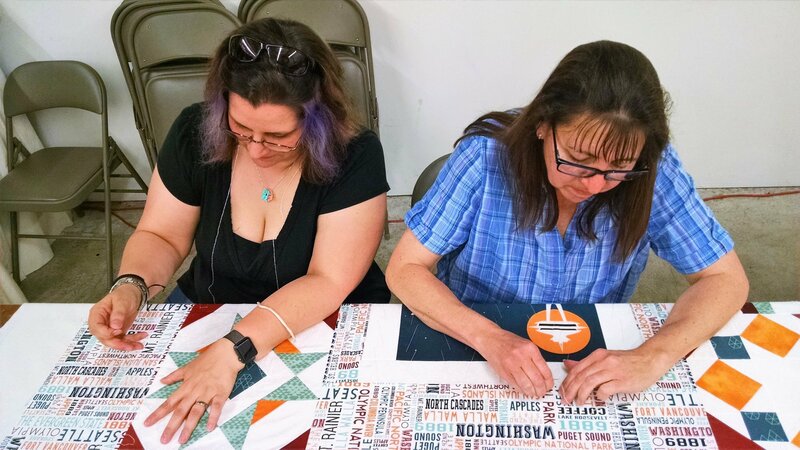 We will even have time to discuss possible quilting patterns for your quilt. Bring your full size quilt top to class. Baste it and leave with a pain free back and knees.